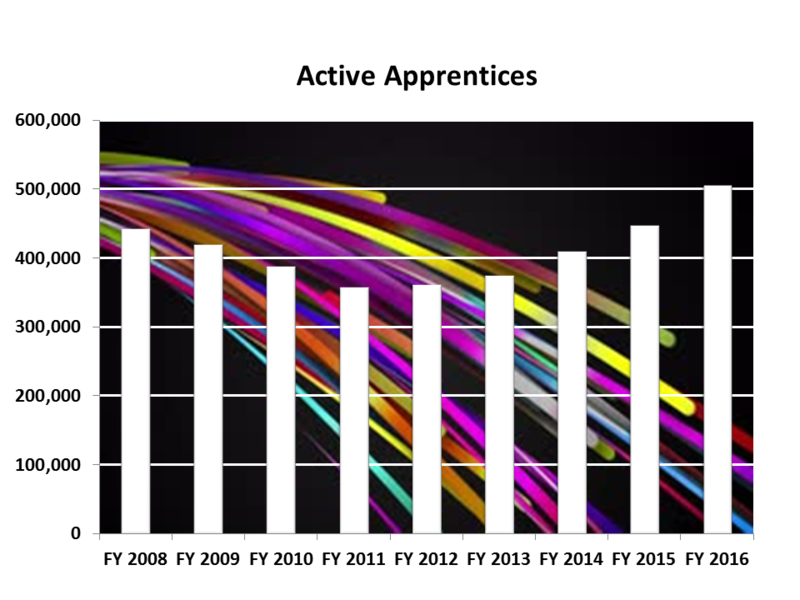 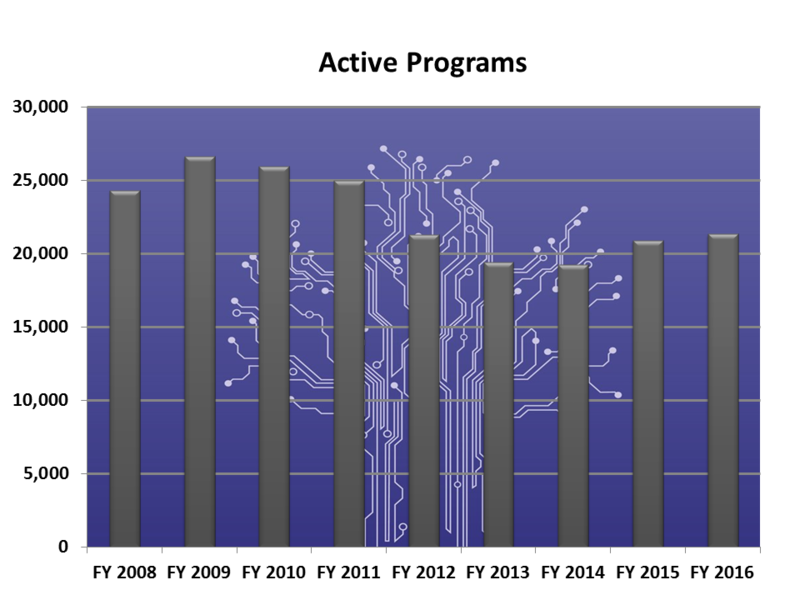 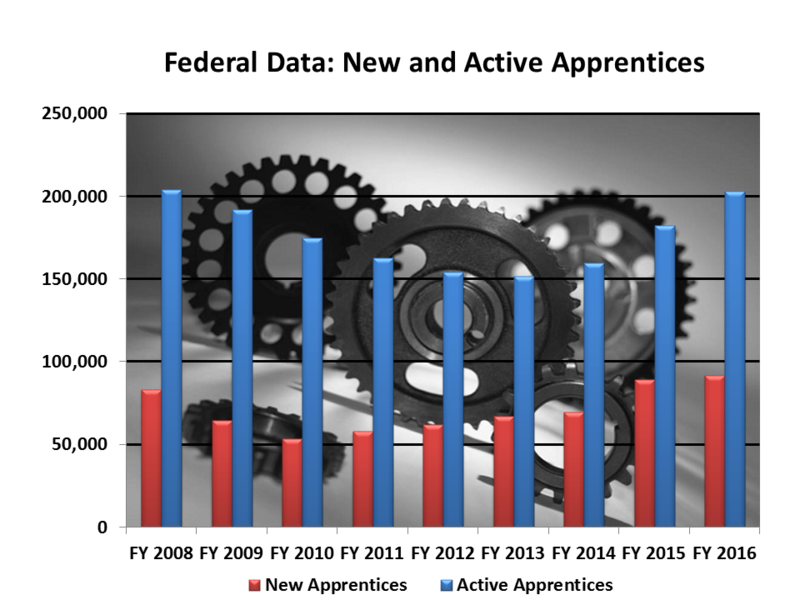 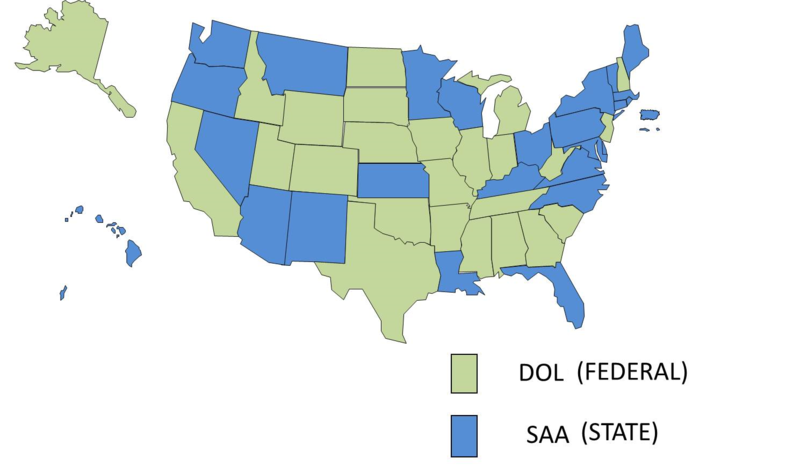 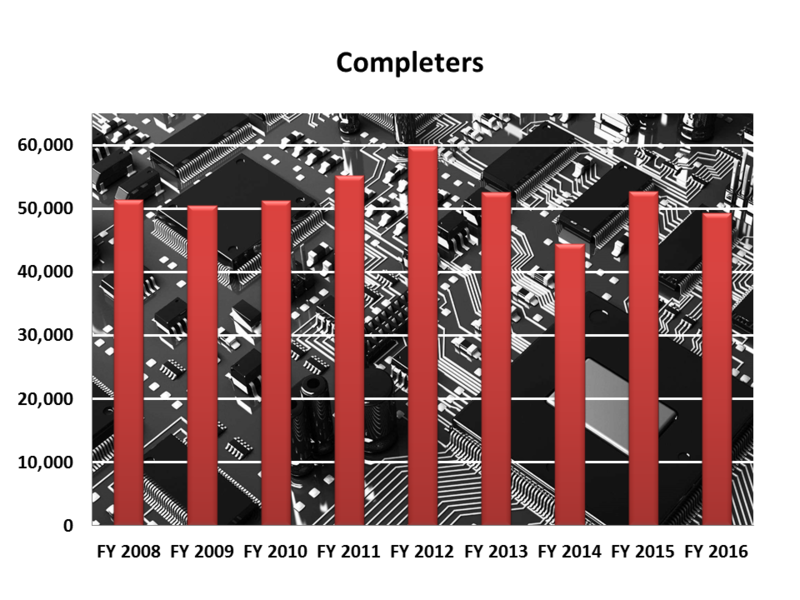 In FY 2016, more than 206,000 individuals nationwide entered the apprenticeship system. 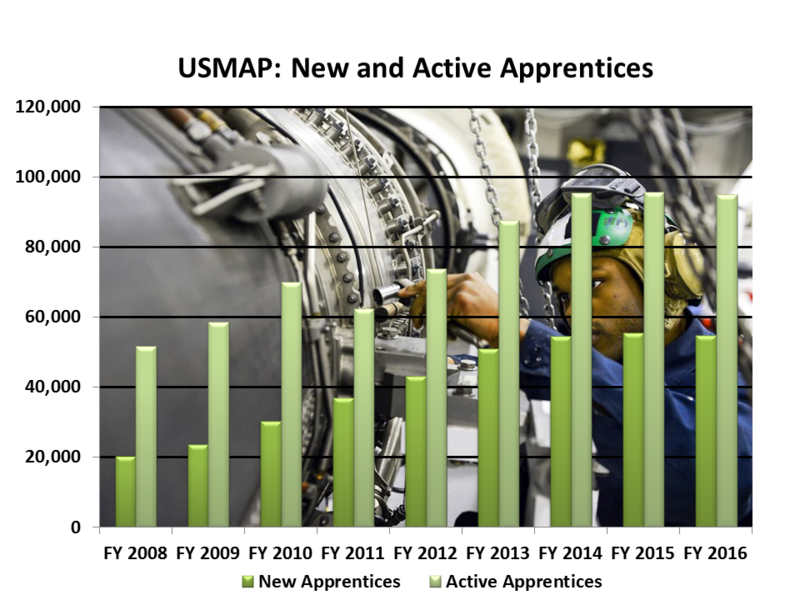 Nationwide, there are over 505,000 apprentices currently obtaining the skills they need to succeed while earning the wages they need to build financial security. 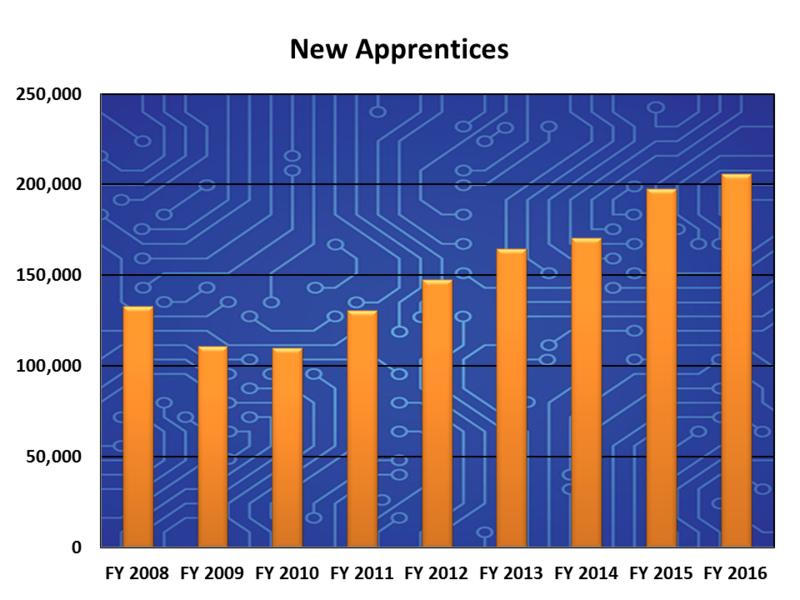 49,000 participants graduated from the apprenticeship system in FY 2016. 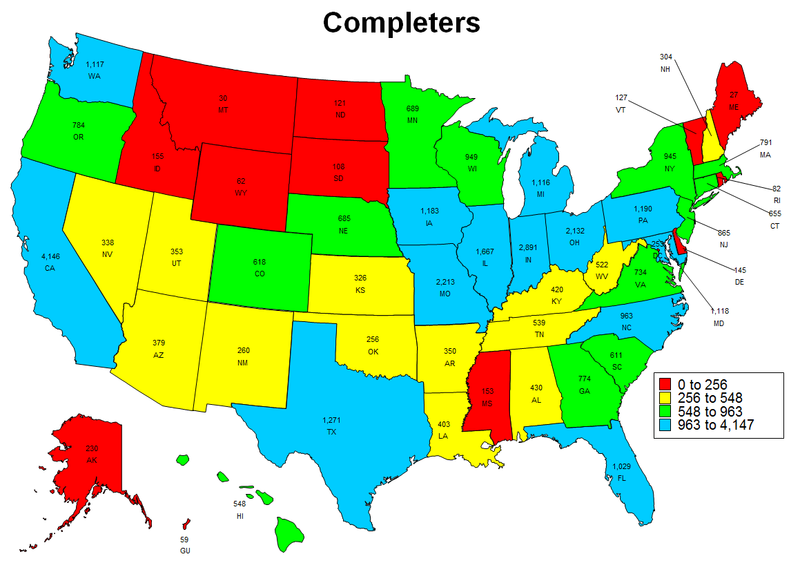 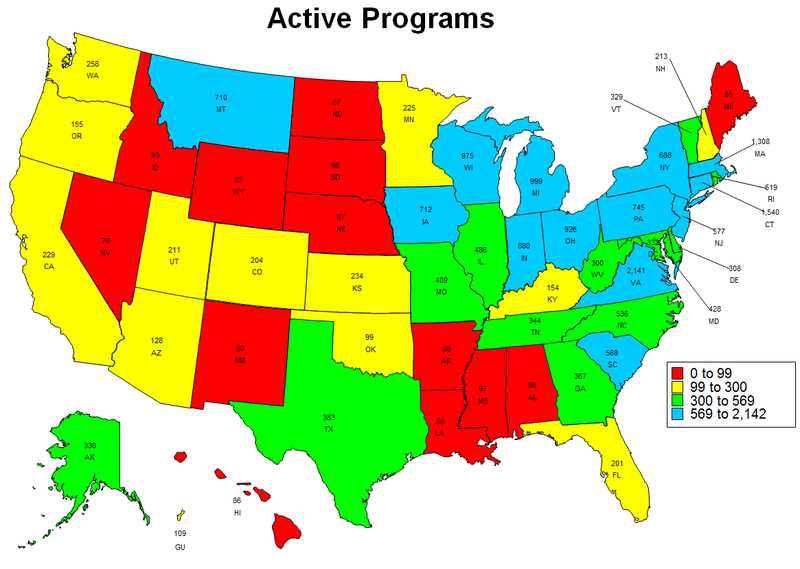 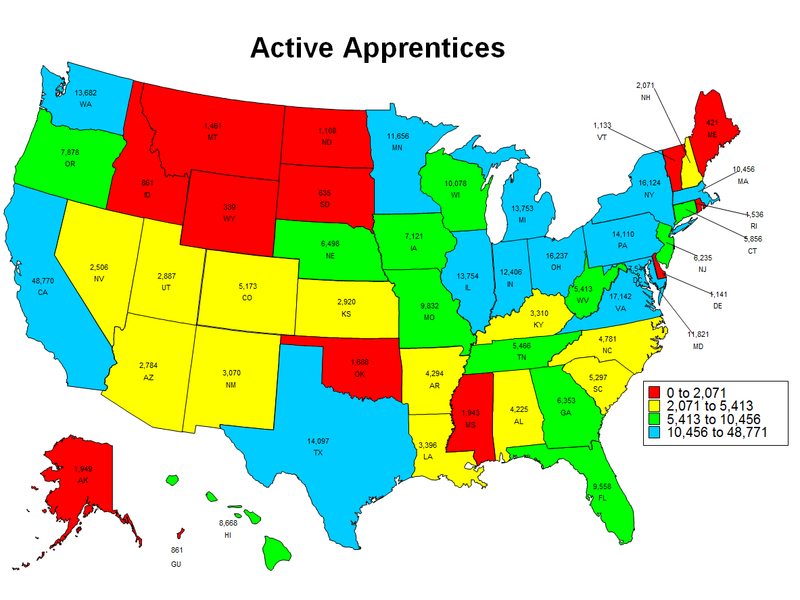 There are more than 21,000 registered apprenticeship programs across the nation. 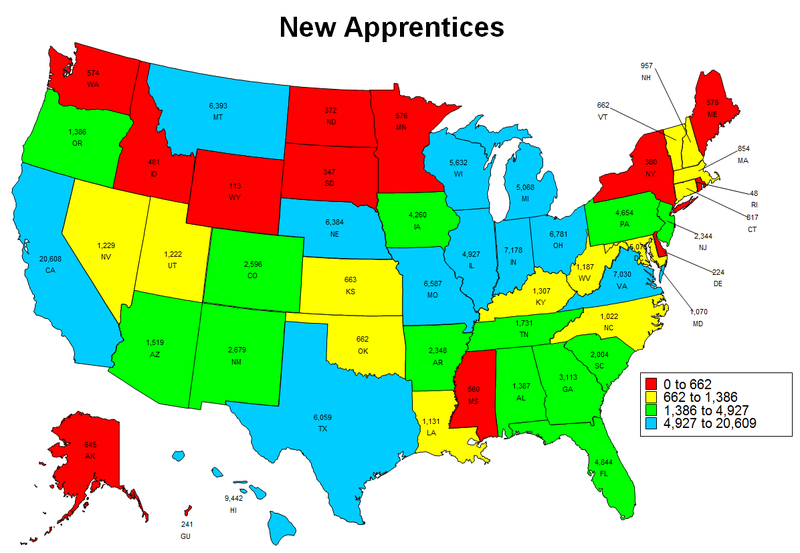 1,700 new apprenticeship programs were established nationwide in FY 2016.